If you are looking for a certified copy of your tax return, the Internal Revenue Service (IRS) can provide you with a copy if you submit the appropriate paperwork and pay a fee, which was $57 per tax year requested as of 2010. However, there is another way to obtain the information from the IRS which doesn't cost taxpayers anything. Determine if you need a full copy of your return or if a certified tax transcript is sufficient. A tax transcript can be obtained free of charge from the IRS and it shows most of the data that was included in your original tax filing in line item format. The United States Citizen and Immigration Service accepts tax transcripts in lieu of actual tax copies, as do lending agencies for student loans and mortgages. In other words, tax transcripts are accepted for most official government activities and, as they are free, you should consider if they will be acceptable for your purposes. Complete Form 4506, "Request for Copy of Tax Return." The form will ask you for personal information, such as your name and address, your Social Security number and date of birth, and the tax years for which you are requesting hard copies. You must include a check or money order payable to "United States Treasury," and include your Social Security number (or employer identification number) and "Form 4506 Request" on your check or money order. Sign the form and mail it to the Internal Revenue Service. Depending on where you live, you will send the form to one of a number of IRS addresses, as per the form instructions. Complete Form 4506-T, "Request for Transcript of Tax Return," if you have determined that a transcript is sufficient. This form will ask for similar personal information as Form 4506, but you will have to check a box indicating the type of information you desire. If you are looking for a copy of the information provided on your tax filing, check box A and request a "return transcript." Additionally, you can request the information from your W-2, 1099, 1098 or 5498 forms. Indicate the years you are requesting, up to four for each 4506-T you file, and sign the form. As with Form 4506, you will mail the transcript request to one of the provided IRS addresses, although you can also fax your request to a number provided on the form. 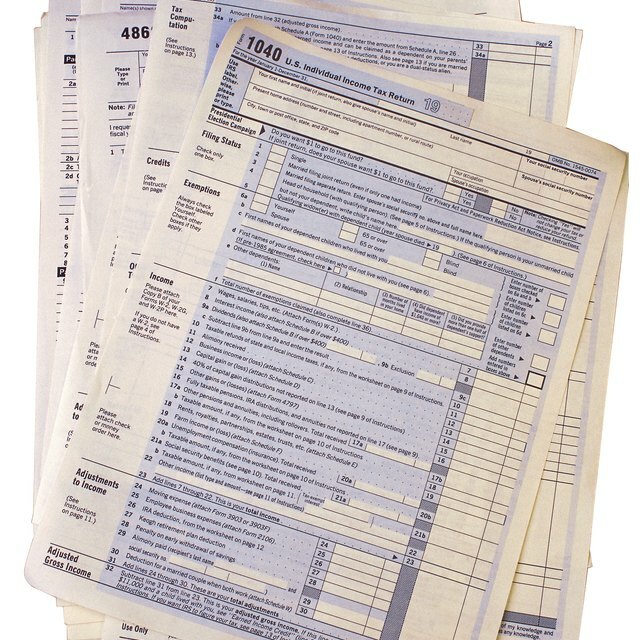 What Is a Tax Transcript?